From Gainesville, take I-985 north (becomes GA 365) to Cornelia/Demorest/Clarkesville exit (Historic Hwy. 441). At end of ramp, turn left and travel less than .5 mile , take left on Hwy. 105. Travel north and through a 4-way stop until dead end into Hwy. 17. Take left on Hwy. 17 and travel 3.4 miles to Hwy. 255 Alternate. Take right on Hwy. 255 Alternate to dead end into Hwy. 255. Take right on Hwy. 255 to dead end into Hwy. 197 at Batesville General Store. Veer left in front of Batesville Fire Station onto Old Chimney Mountain Road (gravel). Travel .7 mile to race start area on right. From the Clarkesville Square, follow Hwy. 197 North for 11 miles to intersection with Hwy. 255 at Batesville General Store,. 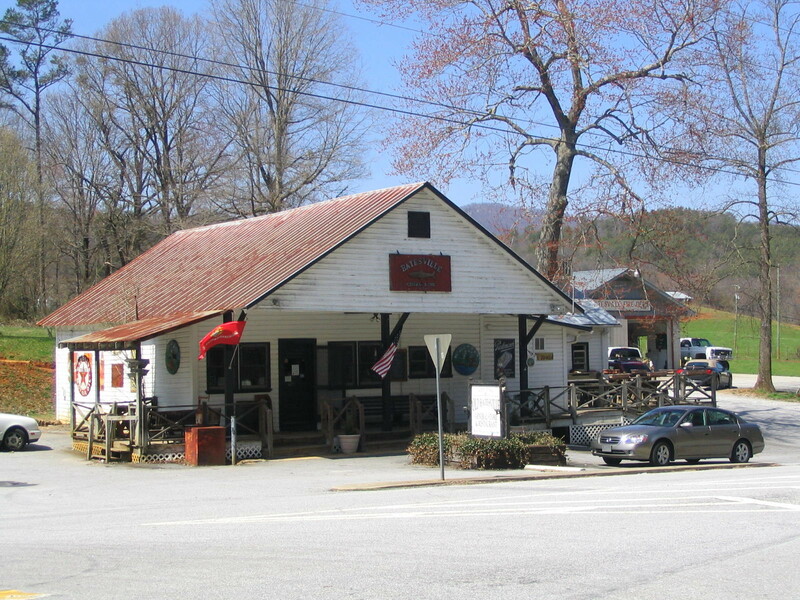 As you pass the Batesville General Store, immediately veer left (past the Batesville Fire Department) onto Old Chimney Mountain Road (gravel).